The New Growth Press “Mini Book” Review Series Begins Next Week. 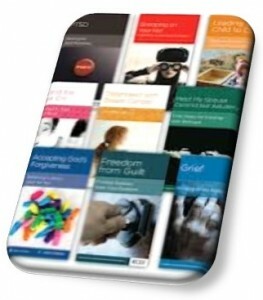 As a pastor I love the Mini Book collection that New Growth Press has put together! I want to interact a bit with some of the theological conclusions and advice these Mini Books posit. I believe these are tremendous tools for the pastor and the local church. Most of the books are about 24 pages long. Their tag line is “Simple, quick, Biblical advice on complicated counseling issues for pastors, counselors and individuals”. I don’t agree with all the theology, conclusions or advice these books give but they still work as a great catalyst or starting point concerning many difficult subjects from a thoroughly Evangelical viewpoint. Here is a list of the Mini Books I will be reviewing for the next 13 weeks.